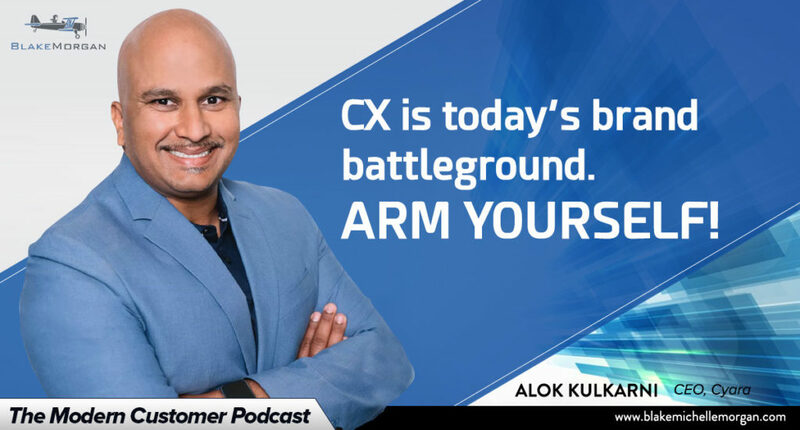 Alok Kulkarni, CEO of Cyara, a cloud-based solution that looks at customer experience from the outside in, says it is important for executives and CX leaders to put themselves in their customers’ shoes to really understand the experience. If they wouldn’t want to go through something themselves, they shouldn’t make their customers do it. By using an early warning system to find integration breakpoints and system flaws, companies can take a proactive approach to solve problems before the customer experience is impacted. Rather than relying on employee feedback and stories that are hard to substantiate, a digital CX solution allows brands to perform systemic audits to get data about issues and potential pitfalls. This podcast is sponsored by Cyara. You can learn more about Cyara here. *If you would like to sponsor a podcast contact blake@blakemichellemorgan.com.